The days of dedicated fitness trackers may be numbered. The evidence is piling up: the Apple Watch will be your personal trainer, the new Basis Peak is adding smartwatch-like notifications... and now the Pebble smartwatch is becoming a fitness tracker too. With a new firmware update to version 2.6, the Pebble will become capable of tracking your activities and sleep in the background, without even requiring a connected smartphone while you work out. You know who's on board with that? Jawbone and Misfit are contributing apps which let you use the Pebble instead of their own fitness trackers. (To be fair, Jawbone is letting practically any portable device run its software.) Swim.com will also contribute a fitness tracking app you can use while you're swimming. All three apps should be available today, though Jawbone will only be available on iOS for the time being. Of all the smartwatches that could potentially do fitness tracking, Pebble does seem like a likely bet. 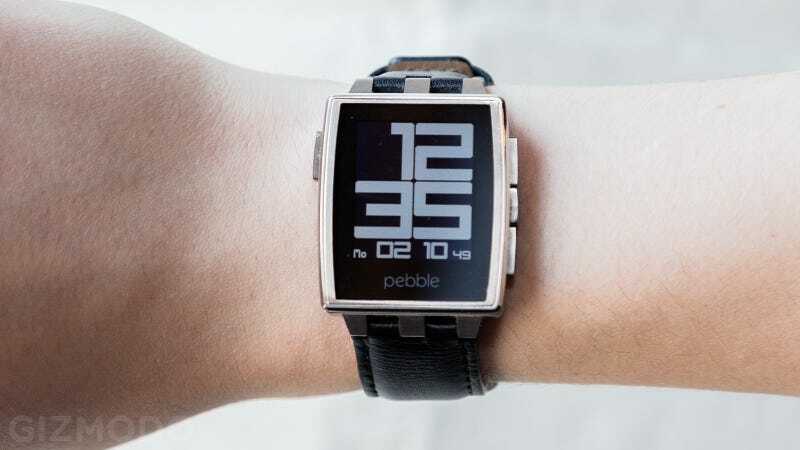 The simple processor and monochrome screen can give it nearly a week of battery life (with less than a 5 percent hit to battery life from a single background app, according to Pebble), and the waterproof construction lets you get it wet. The device still doesn't do as much as the Apple Watch or Android Wear devices are proposing, but Pebble is also dropping the price to match. Starting today, the regular Pebble will cost $100 (down from $150) while the shinier Pebble Steel can be had for $200 (down from $230). If it's any good at fitness tracking — we'll put that to the test soon! — that $100 model could be a steal considering everything else it can do.